X-Treme Series Auto Dry Cabinets will showcase Dry Cabinets at ‘Electronics Manufacturing Korea 2019(EMK 2019)’ which runs from May 15th to 17th in COEX. X-Treme Series Auto Dry Cabinets is an engineering company with numerous technical capabilities that designs and manufactures dry cabinets for use in various sectors as well as a wide scope of specialized products in the fields of electronics. This company was established in 1987 and we operate globally to supply a diverse customer-base with innovative solutions. Their products are exported to over 45 countries worldwide, mainly to Europe and America via our distributor network or direct sales. They serve a wide range of clients including companies in the Fortune 500 and smaller operations. This diversity means that each product and technical service we provide adds to a growing history celebrated for excellent results no matter the application. X-Treme Series Auto Dry Cabinets references are NASA, Thales, EADS, Bosch, Airbus, Lockeed Martin, Boeing, Jaguar, BAE Systems, Rolls-Royce, Martin Baker, Schneider Electric, ISRO, Ericsson, Nokia, Siemens, Phillips, Honeywell, Continental, Megger, Olympus, Flextronics and many more. X-Treme Series is an ISO 9001:2015 quality management certified company and has its own technical service which is accredited by TSE (Turkish Standards Institute) Service Compliance Certificate according to the TS12849/2007 and TS12540/2011 standards. However, X-Treme Series is an IPC (ASSOCIATION CONNECTING ELECTRONICS INDUSTRIES) member. The foundation of their mission is supporting their clients with a combination of high quality and innovation. Since 1987, this mission has guided us in our pursuit of aiding our customers to be successful at every opportunity. They are passionate about our work, our mission and the excellence we bring to the industry. X-Treme Series Auto Dry Cabinets are automatic dehumidifying storage cabinets which is preserve materials from moisture. Application Fields of Dry Cabinets; Drying and storage of industrial materials. Drying, baking and storage of PCB’s, LED’s and IC Packages. Laboratory and testing applications. Storage of optical materials like lenses, cameras etc. Protection of photographs, microfilms and digital media equipment. Protection of work of art, antiques, musical instruments etc. Food storage and conservation. 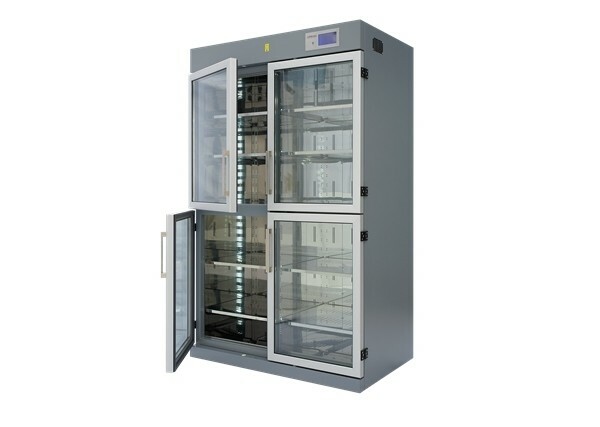 Storage and protection of medicines. Archives preservation. The main key to their success is their commitment to pairing the unique creative abilities of individuals with the collective skills and collaboration of teams. This fosters the innovative edge that strengthens engineering and design and is passed on to the benefit of clients. They strive to uphold the strictest standards of quality that has made X-Treme Series the trusted brand it is today.